There a total of 195 countries in the world with a collective population of 7.6 billion. When a countries name pop ups in a conversation or anywhere in our everyday lives, we consider that we have heard about it, but sometimes it’s not the same, there are several countries that you may have never heard of. If you ask a human being to start naming the countries in the world, it is highly unlikely for him/her to list all of them. There are only a handful of countries that make it to the news and which are known to the majority of the world population. This article will briefly enlist some countries that are unknown to the world. There a total of 195 countries in the world with a collective population of 7.6 billion. When a countries name pop ups in a conversation or anywhere in our everyday lives, we consider that we have heard about it, but sometimes it’s not the same, there are several countries that you may have never heard of. 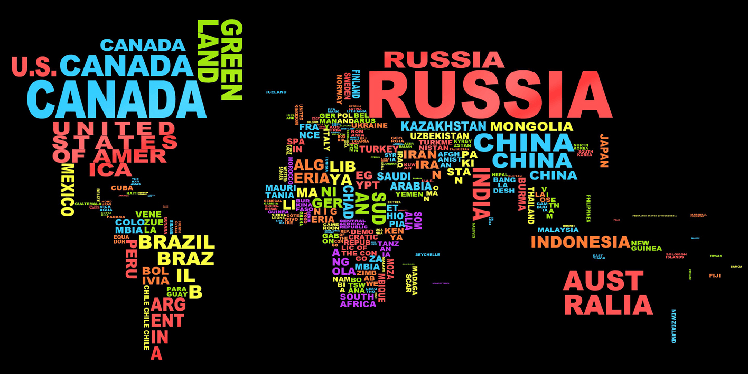 If you ask a human being to start naming the countries in the world, it is highly unlikely for him/her to list all of them. There are only a handful of countries that make it to the news and which are known to the majority of the world population. This article will briefly enlist some countries that are unknown to the world. Djibouti-This 23,200 square kilometers country is located in eastern Africa. It is bordered by Ethiopia, Somalia, Red Sea and the Gulf. 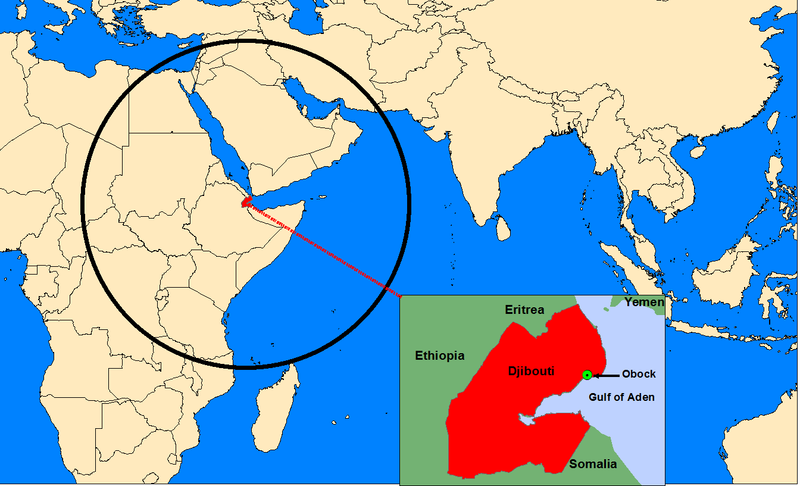 If was a French colony but gained its independence in 1970.Djibouti is a multi-ethnic nation with a population of over 942,333 inhabitants. The Somali (Issa clan) and Afar make up the two largest ethnic groups. Both speak Afro-Asiatic languages. Somali, Arabic and French are the country's three official languages. About 94% of residents practice Islam, which has been predominant in the region for more than a thousand years. The country has deserts and Lake Assal in Djibouti is the third lowest point on earth. You get a Visa on arrival for the Republic of Djibouti and almost 80,000 tourist visit the country every year. Lake Abbe and Lake Assal, are the country's top tourist destinations. 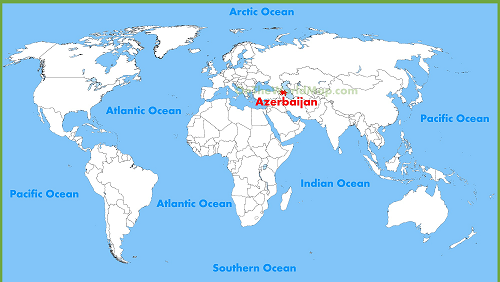 Azerbaijan-It is a country in the South Caucasus region at the crossroads of Eastern Europe and Western Asia. It is bounded by the Caspian Sea to the east, Russia to the north, Georgia to the northwest, Armenia to the west and Iran to the south. The Republic of Azerbaijan became independent in 1918 and also the first democratic state in Muslim oriented world. It was a part of the USSR, but today Azerbaijan has diplomatic relations with 158 countries and holds membership in 38 international organizations. It is the founding member of GUAM Organization for Democracy and Economic Development (Georgia, Ukraine, Azerbaijan, and Moldova). It is a Shia Muslim state and a popular religious destination. Tourists are attracted by the health care, spa and the skiing during winters at the Shahdag Mountain Resort. Nauru- It is a small country in the Oceania in central pacific and it has Banaba Island as its neighbor. It has a population of just 11, 300 and is the third smallest republic state in the world after Vatican City and Monaco. Settled by people from Micronesia and Polynesia in 1000 BC, Nauru was annexed and claimed as a colony by the German Empire in the late 19th century. Nauru gained independence in 1968. It has high phosphate reserves and is also a tax haven and illegal money laundering centre. The country has no official capital and no cities; it is expanded over an area of 21 square kilometers. The official language of Nauru is Nauruan and the main religion practiced on the island is Christianity. Angam Day, held on 26 October, celebrates the recovery of the Nauruan population after the two World Wars. An interesting pact is that there are no daily news publications on Nauru, although there is one fortnightly publication titled Mwinen Ko. Kiribati- It is another country is the Oceania, the Republic of Kiribati is a group of small islands, 32 atolls and reef islands to be precise, and they have a total land area of 800 square kilometers. Kiribati was a UK colony, but it became a free state in 1979. Kiribati has a population of just over 110,000; South Tarawa is its capital and the most populated area. The native people of Kiribati are called I-Kiribati, they speak an Oceanic language called Gilbertese and Christianity is the major religion in Kiribati. Some people believe that the island of Kiribati are shrinking therefore they are migrating to New Zealand. Brunei- This is a tiny country located in Southeast Asia, it has coastline with the South China Sea. The Nation of Brunei is also known as the Abode of Peace. Brunei is on the island of Borneo and the remainder of the island's territory is divided between the nations of Malaysia and Indonesia. Brunei despite being a small nation has good oil reserves and gas fields; it was ranked fifth-richest nation by Forbes on the basis of the above assets. This is a Sunni Muslim predominant state with a population of 400,000; other faiths practiced are Buddhism and Taoism. The official language of Brunei is Standard Malay, for which both the Latin alphabet and the Arabic alphabet are used. What is the Nipah Virus (NiV)? Basic structure of C language ( Module 2). Motorola moto G6 to be launched by 25th may in India. Check it's latest Features now ! How to Change the Language on Windows Computer?